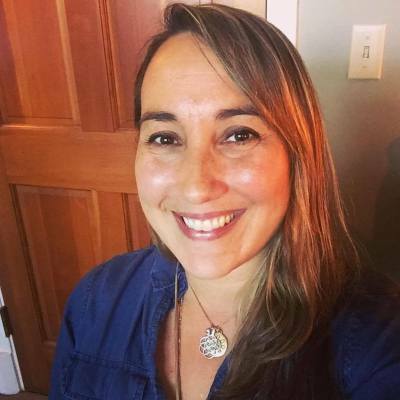 Sherry Mosley has a Masters of Science in Oriental Medicine, is a Certified Shamanic Akashic Healing Practitioner and Counselor and a Certified Reiki Master and is a Psychic Medium since birth. Sherry Mosley is a Northern California native from San Francisco. 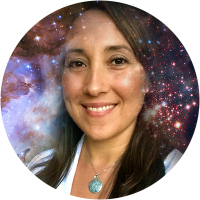 She is an old soul, Indigo, starseed, psychic medium, and channel who comes from a long line of intuitive healers and medicine women which has made her naturally clairvoyant, clairaudient and clairsentient. It has been a journey of surrender and discovery that has brought her here today as the healing practitioner, teacher and author she is today. Sherry was raised and educated in a hippie Free Masonry/Rosicrucian/Christ Consciousness alternative community called the Holy Order of MANS (Mystery, Agape, Nous, Sophia) in San Francisco in the early 1980s At their St. Michael’s school, similar to many Waldorf schools, she was exposed to being a humanitarian, where the inclusion of Saints, Angels, God/Source and spirit were in daily life as well as exposure to nature, different cultures and art as part of the regular curriculum. Later in life she received her undergraduate degree from U.C. Santa Cruz and San Francisco State University where she studied art, computer graphics, biology, and holistic health completing a course of study in SFSU’s Institute for Holistic Health Studies program. There she studied Chinese Medicine, under Angela Wu, L.Ac., as well as other Eastern and Western Health Perspectives. In 2007 Sherry followed the call her Saturn's Return brought and began buying many books on shamanism and then began her extensive and expansive training to become the Certified Shamanic Akashic Practitioner and Counselor she is today. First her training and certification were in Reiki with Shamanism with a practitioner and teacher based in San Francisco California. In 2009 she became a certified Shamanic Reiki Master successfully completing all three attunement levels of Usui Shiki Ryoho Reiki combined with Shamanism. By end of 2010 her shamanic trainings and certifications through the Foundation for Shamanic Studies included the Shamanic Healing Intensive in Core Shamanism (Soul Retrieval, Power Animal Retrieval, Psychopomp, Divination, Extraction, Death & Dying), Shamanic Counseling (becoming a Shamanic Journey teacher/counselor), the Way of the Shaman and Dreamwork courses. 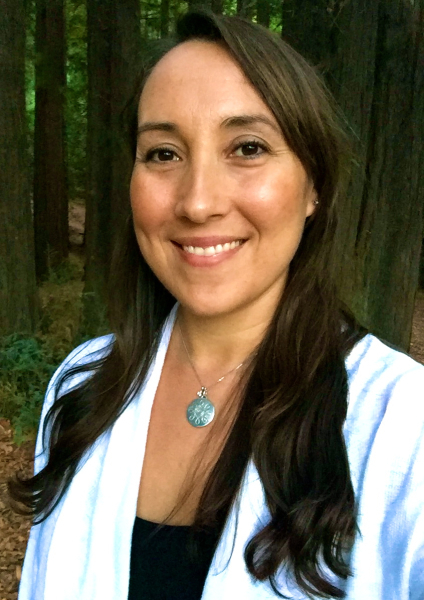 She also received healing and additional one on one apprenticed training in Shamanic Soul Retrieval with a shamanic practitioner and teacher in the Bay Area. Finally, in 2011 she received all nine of the Munay-Ki Rites (the Healer, Bands of Power, Harmony, Seer's, Daykeeper's, Wisdom Keeper's, Earth Keeper's, Star Keeper's, Creator) to upgrade her luminous energy field to heal wounds of the past-the karmic & genetic programs and beliefs inherited, re-inform her DNA enabling her to grow a new body that ages, heals, and dies differently. Having the Creator Rite she can also pass these rites on. In 2008 Sherry continued her call and enrolled at Acupuncture and Integrative Medicine College in Berkeley, California as a tutorial student, beginning her J.R. Worsley Five Element tutorial and apprenticeship program. In December of 2014 she completed her Masters of Science in Oriental Medicine from Acupuncture and Integrative Medicine College in Berkeley, California where she was educated and trained in Traditional and Classical Chinese Medicine including acupuncture, moxabustion, cupping, gua sha, medical qi gong, shiatsu and tui na massage therapies, Chinese and Japanese herbal medicine as well as Japanese Meridian therapy. AIMC being an integrative medicine school Sherry also received extensive training in Western Biomedicine alongside her Eastern Medicine training including the diagnosis and treatment of various conditions including gynecology, obstetrics, urology, otolaryngology, gastroenterology, infectious disease, immunology, oncology, endocrinology, cardiology, respiratory disorders, neurology, pediatrics, dermatology, and ophthalmology, along with the associated Oriental Medicine patterns of disharmony. In her 1000 hour clinical internship she focused on emotional imbalances, women's health, chronic illness, pain management, overall immune balancing, and digestive issues with significant hours spent practicing Japanese Acupuncture and Meridian therapy. End of 2014 Sherry also started doing the lessons of A Course In Miracles and continued an advanced and intense study of this well known channeled text known to align one with Christ Consciousness and works on moving one from dualistic egoic thinking to non dualist awareness. In her experience it deepened her Shamanic practice including Ascended MasterJesus showing up in her Shamanic Journeys and mediumship work, as well as many Angels, guiding her on a new path during the summer of 2015 fully detained in her Akashic Enlightenment book . In April of 2015 Sherry was introduced to the Akashic Records via her own shamanic journeying practice. As guided, she further studied the Akashic Records to expand her understanding of this vast resource and connection. During a year of this intense study process, daily accessing the Akashic Records via shamanic journeying visiting 7th Heaven, Lemuria, Atlantis, the place of her soul inception and Source, along with intense chakra clearing and alignment and Light Language/Source frequency activating work, and along side doing her own Angel training work in which she communed with Ascended Master Jesus and KRYST/Christ Consiousness. After this in the spring of 2016 she was given the Akashic Enlightenment Gateway Prayer (Akashic Records/Book of Life and Book of Truth/Laws of Universe accessing prayer) through the Arcturians and Ascended Master Jesus and was told to teach it to the many. She started doing Shamanic Akashic Record Readings and Healings for clients at that time as guided. In September of 2016 Sherry began speaking Light Language as she was told she would by her Akashic Enlightenment guides during a retreat in Mount Shasta in August of 2016. She now does healing sessions, webinars and videos of Light Language that she is guided to share with the world for their healing and Ascension process. Sherry also started connecting with the Pleidians in her deeper Shamanic Journey work in 2016 and is a member of the Galactic Council, Council of Light and Council of Nine and many of the Light Language transmissions come through that connection and directly from the Elohim from Source/Creator as part of a mission to help Earth and all it's human inhabitants in the Ascension process. Light Language upgrades and healing also now come through her for clients during her Shamanic Akashic Record Readings . Many cry or feel the energy in their heart as they are being reminded of who they truly are as a Divine Human and reconnecting with their True Soul Self/Source connection remembering what this truly is and what this truly feels like, Ascension. She also offers specifc Akashic Aura Attunements® For Light Language personal sessions helping one attune to their own Light Language/Source frequency or Divine Human self connecting Source/God/All That Is. In the summer of 2018 Sherry published her first book Akashic Enlightenment Akashic Records & Book of Truth for Divine Knowledge, Healing, & Ascension: A Tale and Gateway to the Cosmic Laws and Produciaries of Love and Light as Seen in the Great Elohim as she was told to do by her spirit teacher Ascended Master Jesus back in the fall of 2015 which tells of her awakening journey and receiving Akashic Enlightenment and instructions and practices on how to use it for one's own awakening process and well being. She now teaches Akashic Enlightenment as a method of practicing higher guidance and alignment connection for nondualistic Soul/Source aligned awareness with True Soul Self, or one's connection to God/Source/All That Is, to live a life guided by receiving higher guidance and wisdom instead of ego, sometimes referred to as Ascension and which also helps one to live a life aligned in joy, peace and well being during these great times of change. 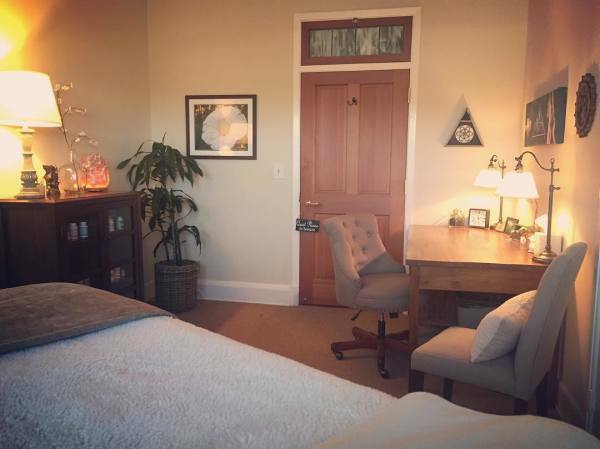 Sherry has since uses all her knowledge and training to go beyond just Traditional Chinese & Japanese Medicine and traditional acupuncture merging the practices with her other more esoteric trainings. She now practices Asian Integrative Medicine solely using ancient Japanese Acupoint Meridian Therapy, Chinese herbal medicine, nutrition and diet consulting and lifestyle coaching, Reiki chakra clearing, Arcturian Healing Method energy healing , Shamanic Akashic Record readings and healings with Light Language and Arcturian Healing , Akashic Enlightenment trainings and soul alignments and Shamanic Journey lessons in her current private practice. 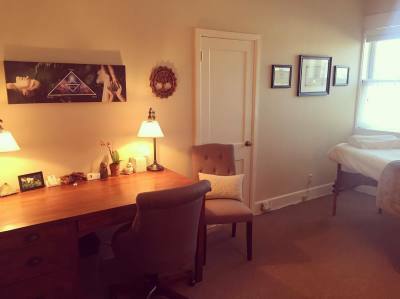 Presently she practices privately in Sausalito California by appointment only.